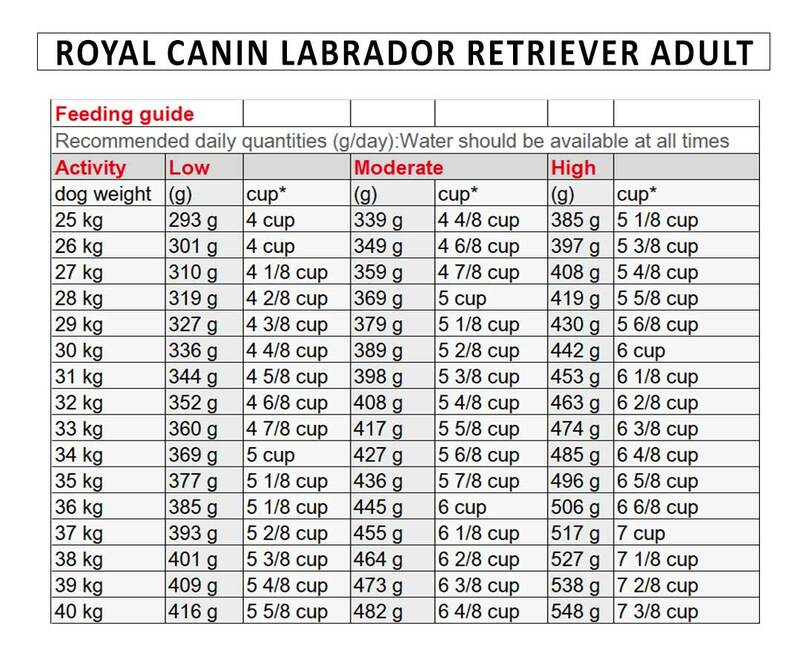 Royal Canin Labrador Adult 3 Kg Dog Food at lowest price in India. They are solid dogs having sturdy legs and strong body. The Labrador retriever is excellent family dogs, but they have to be regularly exercised. They are intelligent and very easy to train. They are ‘easy keepers’ but can be overweight if proper food isn’t provided to them. Labrador retrievers tend to put on excessive weight, their diet has to be monitored to avoid being overweight. Their joints can get weakened by excess weight gain. Royal Canin food helps to maintain their body weight but these dogs require exercise as well. Proper food displays healthy skin and coat. This breed tends to eat food quickly; the kibbles in the Royal Canin are donut shape which makes the dog chew his food giving them a good digestion. The food provides calcium, protein, and phosphorus. Highly digestible proteins and fiber content give a balanced intestinal flora. It consists of rice, maize, dehydrated poultry protein,dehydrated beef and pork protein*, animal fats, hydrolysed animal proteins, beet pulp, vegetable fibres, wheat, maize gluten, fish oil,yeasts, minerals, soya oil, fructo-oligosaccharides, hydrolysed crustaceans (source of glucosamine),psyllium husks and seeds, green tea extracts (source of polyphenols), borage oil (0.1%),hydrolysed cartilage (source of chondroitin),marigold extract (source of lutein), . Cat shampoo for clean the coat &amp; prevent it from dry, dull &amp; lifeless hair. Type: Shampoo. Quantity: 250 ml.